If you hear that a new team member or manager is “emotionally intelligent,” you’ll probably nod gratefully. You’ll understand that he or she will likely listen to you, try to see things from your point of view, and resist jumping to conclusions. At the time, he wasn’t at all sure the idea would catch on. “In fact, I’d already put out a proposal for my next book, because I didn’t think this book would do much of anything in particular. So I was astonished,” he tells me in our Expert Interview podcast. More bestselling books followed, most of them related to emotional intelligence or some aspect of it. Goleman’s latest book is a prequel of sorts. 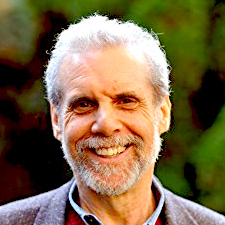 The new book is called “Altered Traits: Science Reveals How Meditation Changes Your Mind, Brain, and Body.” In it, Goleman shares how he first embraced meditation when he spent two years in India as a Harvard graduate student. While he was there, he began practicing mindfulness, which he calls “a subcategory of meditation.” For him, it’s “very interwoven” with emotional intelligence because it helps people to focus – a thread that runs through all four parts of the emotional intelligence model. “Mindfulness practice, or meditation generally, are essentially practices of self-awareness. That’s the first part of emotional intelligence,” he says. “The payoff is not only in being able to monitor what’s going on inside you and handle it better, but also in self-management, which is the second part of emotional intelligence. You are better able to manage your upsets, and to stay focused on your goals and marshal a positive attitude,” he says. In “Altered Traits” – a play on the phrase “altered states” – Goleman and co-author Richard J. Davidson, PhD, present the scientific argument for meditation and mindfulness, citing dozens of experiments that provide evidence of their benefits. Goleman welcomes the growth in such studies, and the peer-reviewed articles that endorse them. After all, mainstream recognition of the transformative effects of meditation has been a long time coming. “When I proposed studying meditation at Harvard, my professors were mostly against it. They thought it was crazy, a waste of time,” he recalls. As an example, Goleman says that we can see positive results from as little as 10 minutes of mindfulness practice a day. “We know from the research that your attention becomes stronger. You’re able to focus even in the midst of multitasking, which is a very useful skill these days, for sure. You can remember better, you can learn better. Students who do mindfulness actually score better on exams,” he reports. Because of this, Goleman believes there’s a powerful business case for bringing mindfulness into the workplace. In this audio clip, from our Expert Interview podcast, he reflects on how it might be introduced. Would you welcome regular mindfulness practice in your workplace? Join the discussion below! How can I practice mindfulness. Is it something I can learn on my own if guided? Thanks Adebayo for your question. There are several mindfulness courses online that are available at no cost. I have done a few of them and found they are quite good. Saying that, having a teacher who can provide feedback, guidance and advice certainly has its merits too! If you are looking for apps, Adebayo, then there’s plenty out there. I strongly recommend the ‘Calm’ app – their ‘Daily Calm’ is a 10-15 min mindfulness exercise, or there are collections based on themes (including Mindfulness at Work). I’ve also heard good things about Smiling Mind. 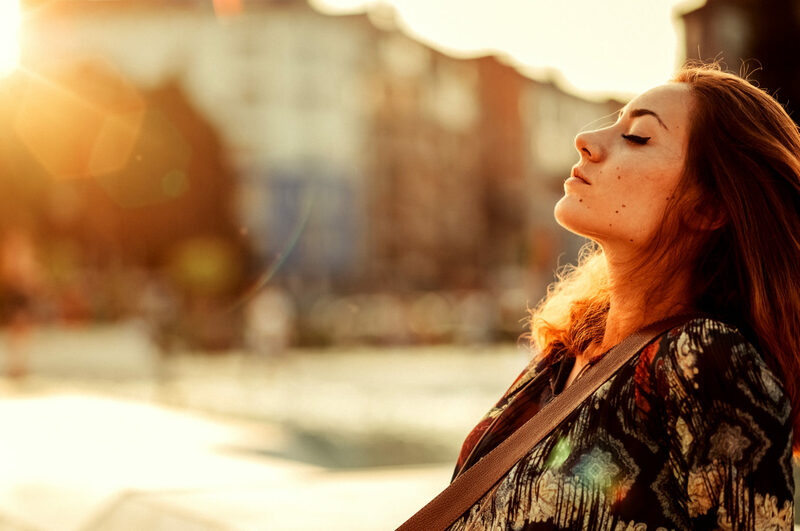 There’s great value in guided meditation, rather than trying to work it out myself (plus I tend to get distracted, so having a voice that gently pulls me back is soooooo helpful!). I’d suggest trying the free version of Calm or other apps, before investing in expensive subscriptions – we are all different, so it’s important to find what works for you. On the article itself: Daniel Goleman has had a profound impact on today’s culture and understanding of self and how we interact with others. Looking forward to reading about how mindfulness has impacted on his journey, given I’m a recent convert to mindfulness myself. Hi Michelle, Thanks for your suggestions about the mindfulness apps. I have heard of ‘Calm’ and will go check out ‘Smiling Mind’. Like you, I also find it helpful to have someone guiding me as it contributes towards bringing my thoughts back to the focus! Adebayo, have you checked out any of the online resources yet or tried an app and how did it go? Adebayo, also perhaps also look up John Kabat-Zinn. He’s an expert on mindfulness and founder of mindfulness-based stress reduction (MBSR). Thanks Ashley for that suggestion to look into John Kabat-Zinn and mindfulness-based stress reduction. Definitely a good place to start. For me, putting into practice mindfulness is all about ‘acceptance of what is’. I am practicing meditation for the last one year for one complete hour. I work eight hours at my project and three hours at my 2nd project. I feel full of energized and sleeps well at the age of sixty. Meditation is my great invigorating force and strengthens my mind. Thanks Amir for sharing your experiences with meditation. It is great that you can work so long and still feel full of energy! I am currently trying to do shorter meditations throughout the day to help with my energy levels and it seems to work well for me!